Sometimes the simplest things are overlooked, making a beautiful application seem impossible to decipher. Sometimes I’m amazed when very simple usability problems are overlooked in an otherwise good design. 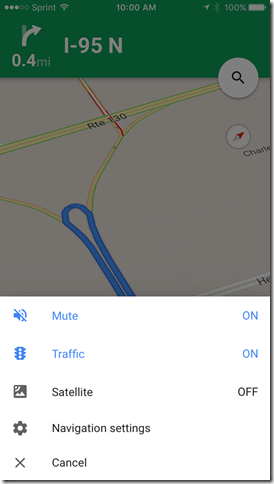 Google Maps is a great mapping app, with one major exception – turning off the audio directions. As you read this, you might at first think, “Big deal! That’s not that hard to figure out.” But remember that this is an app that people use while driving. So it needs to be extremely easy to turn on or off the audio directions. 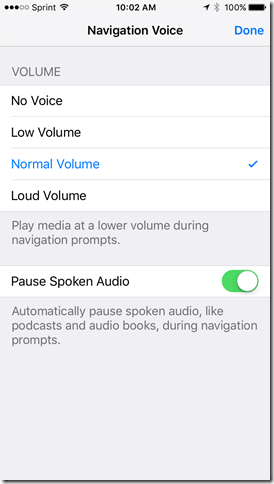 But instead of an Audio or Sound setting, you see the Mute setting – Off. 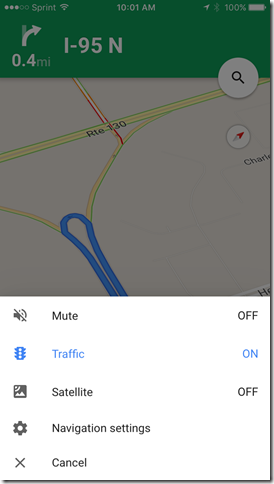 This is not a button that performs the action Mute, but a property called Mute with the state On or Off. Why is that a problem? It’s exactly backwards to reality and expectations. Sound or Audio is the property that people want to turn on or off, not Mute. Mute On or Off requires you to stop and think, “Mute is off. 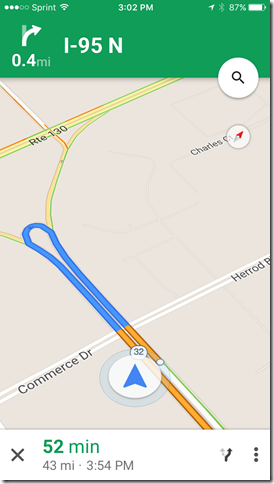 So that means… audio is on, I guess? Yes, I suppose that’s what it means.” Keep in mind that you’re looking at the screen and thinking about this as you hurtle down the highway at 70 miles per hour. It would be much more natural if the setting was Audio – On/Off. 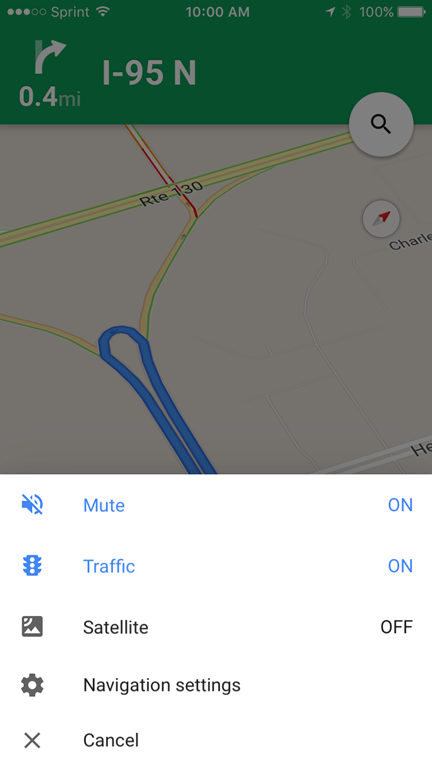 Yes, we’re all familiar with Mute buttons to turn off audio, but those are action buttons. Pressing a mute button performs a muting action. 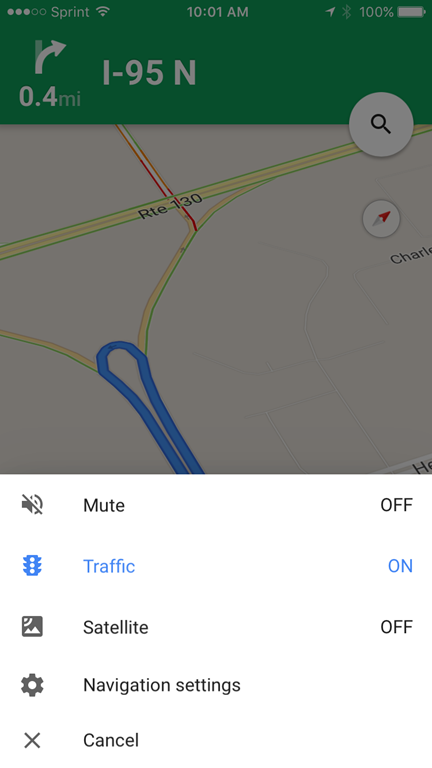 That’s different from a Mute property with On/Off states. Mute On/Off is like a light switch with the label Darkness On/Off. It’s the exact opposite of what you normally expect and requires you to perform mental gymnastics to figure out what it will do. Keeping with the light switch comparison, a Mute button is like a single button with the label “Turn off Lights.” Neither of those cause confusion because each is a single action that tells you what will happen when you press it. How else could this be designed? 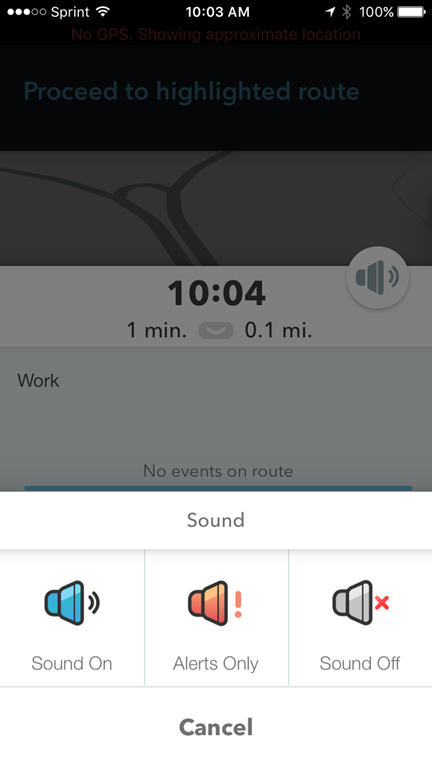 Waze has buttons for Sound On, Alerts Only, and Sound Off. 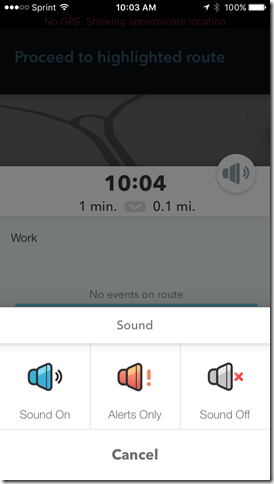 These apps provide options for concepts that we easily understand (Sound and Navigation Voice) and match what we want to do – turn them on or off. The lesson is, provide natural-language labels for functions and actions that your audience understands. 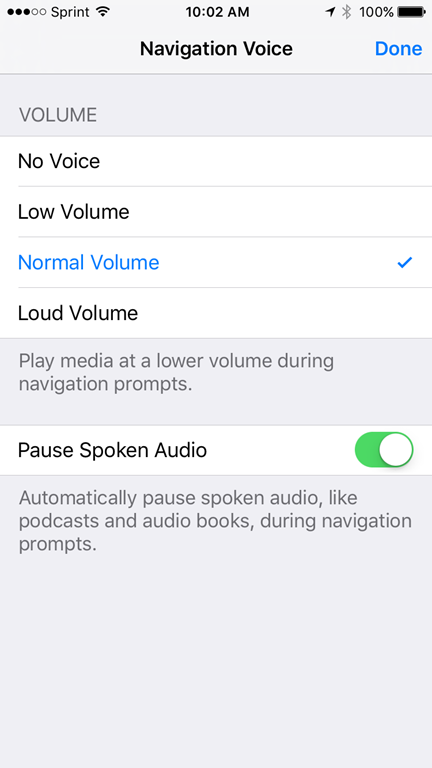 Stick with conventions used elsewhere, and avoid technical terms (like Mute) when natural language (Sound On/Off) will be more understandable. And when in doubt, test with users to find and fix problems like this.